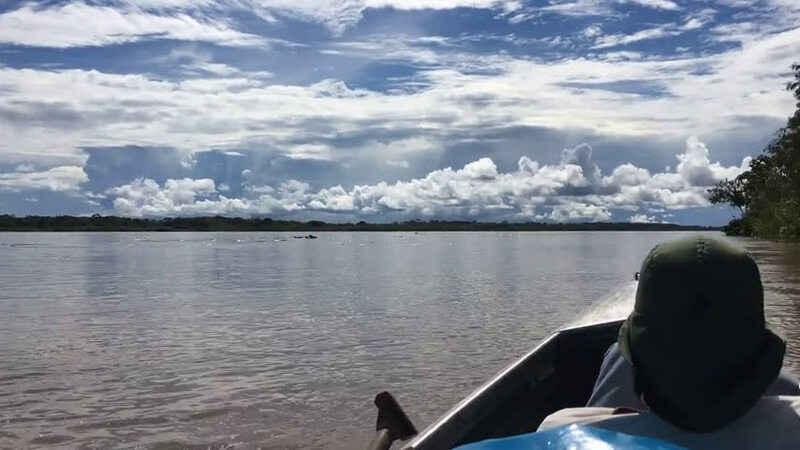 A team of researchers from the U.S. and multiple countries in South America has found that hydroelectric dams built in the Amazon river basin, which were built to meet the growing electricity demands in the region, are making more of an impact on the natural geography than previously thought. In their paper published on the open access site Science Advances, the group describes using data from satellites to learn more about the true impact of modern dam building. As cities in South America grow, electrical needs grow along with them. In the Amazon basin, the most logical option for fulfilling those needs is hydroelectric dams. But what is the impact on the geography of all the new dams? As the authors note, little has been done to find out. To learn more, they obtained satellite images and studied them, looking for clues. Their analysis led to two important findings. The first was that there are many more hydroelectric plants in operation in the Amazon basin than have been reported through official channels. The other involved the impact that hydroelectric dams on areas downstream. Damming a river does not reduce the amount of water that flows from one end of a river to the other—once the reservoir formed behind it is filled, the amount of water flows unchanged (unless people pump some of it out). But building a dam can have a permanent impact on organisms that live in the river, such as spawning fish—the dorado, for example, historically swims more than 3000 miles to deposit its eggs, but now is disappearing because it cannot get past the dams that humans have built. That can cause problems for fishermen, and, of course, for those who do not want to see fish populations die off. Damming a river has other impacts as well, the team notes. Dams trap silt, comprising sediments and nutrients that farmers (and the trees in the forests) have relied on for a very long time. 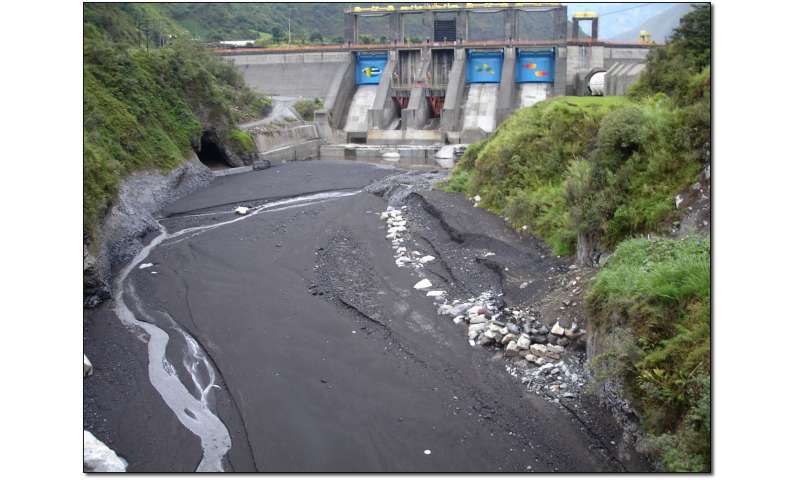 When a dam is built, the team points out, 100 percent of the silt gets trapped. 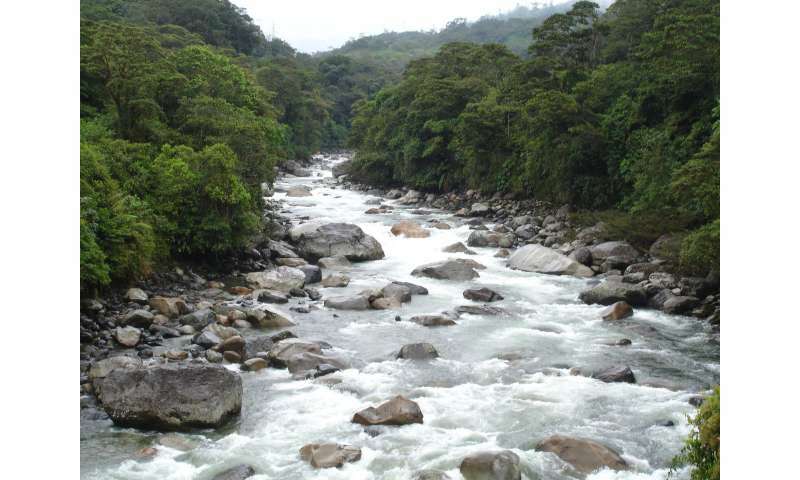 Dams also prevent natural flooding during the rainy season, preventing the natural dispersal of seeds in the Amazon basin. The overall problem, the researchers point out, is the large number of dams and the numbers of new ones that are planned—together, they represent a major threat to the river basin.